There are several changes to the driving laws for 2015 that you need to be aware of. The one that’s getting the most headlines is the new law that aim to prevent people driving when they’re under the influence of drugs. New regulations that aim to stop people driving while on drugs are now in force for England and Wales. Those caught driving under the influence will be prosecuted in much the same way that drink drivers are. There are limits set for the most commonly used drugs in the UK including cocaine and cannabis. Prescription drugs are also detectable using the new technology at the police’s disposal. Drugalyser devices are now carried by police forces up and down the country. This is a small victory for campaigners who have been on the government’s case about the dangers posed by those who drive while impaired by the influence of powerful illegal drugs but it’s also a worry for most citizens because the new laws could inadvertently target prescription drug users. The new law is a bolt-on for the existing law of driving while impaired by any drug. There’s an existing fixed penalty fine of £5,000 to pay and you could end up with a six-month jail sentence if caught. A ban from driving for at least a year is also a punishment for being caught driving under the influence of drugs. There are 16 drugs covered by the new regulations. Eight are illegal drugs and the other eight are prescription medication like morphine and methadone. The laws have set the limits high enough that those using prescription drugs at their prescribed amounts will not be penalised. 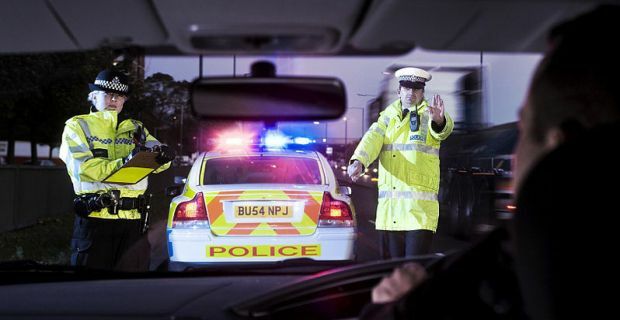 The police continue to work on new technology that will be able to test a greater collection of legal and illegal drugs in people’s systems so motorists will be under more scrutiny in the future.